You will note there are some changes to the right of this blog post. There are now more links there that will lead you to my book. 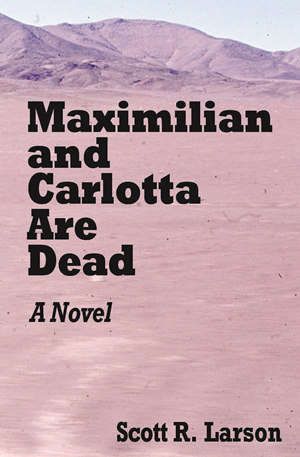 My three-month exclusivity commitment to Amazon’s Kindle Store has run its course and there are now several other ways to read Maximilian and Carlotta Are Dead besides using a Kindle device or app. Most notably, the paperback version is now available. I realize I have done this totally backwards, i.e. releasing the “real” book a whole three months after the e-book has been out. But there it is. You can click on the appropriate links to purchase physical books from either Amazon or Barnes and Noble. If your prohibitively preferred online digital book retailer happens to be Apple’s iBooks, well, you will have a bit longer wait—unless you have an Apple computer you can lend me for a few minutes. Apparently, the only way to submit an e-book to iBooks involves using an official app that runs only on Apple computers—or else to use an aggregator (a sort of middle man service for getting books out to various retailers) which, for a number of reasons, I have opted not to do. I want and expect to have my glorious opus on iBooks at some point, but given the hassle and the likely sales potential through that outlet, it’s not a particularly high priority. Sorry to go all strategic businessman on you. The bottom line is that I’m pleased as punch about finally having my book out there on real paper as well as in EPUB format. And now, all those people who kept telling me that the only way they would read my book was if it were on real paper… it’s now over to you. Yes, that’s a new book cover for Maximilian and Carlotta Are Dead near the top of this page. 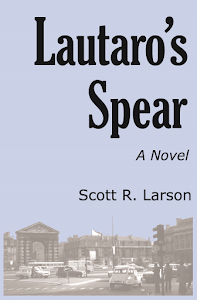 And, yes, I know I was in the middle of a story about the process of migrating my novel from e-book form, for which it was targeted, to paperback format. And I will continue it anon. In fact, that new cover was made for the paperback edition, which should be available Real Soon Now. It just goes to show that it makes more sense to finish the paperback version before publishing the e-book version. Not only is this the traditional way of doing it, but also the print format has more rigid requirements than the digital version. In other words, whatever works for the print version will undoubtedly work for the e-book as well. The reverse is not necessarily true. So if you want the two formats consistent, do the paperback first—even though it’s more work. My own story illustrates this pretty well. 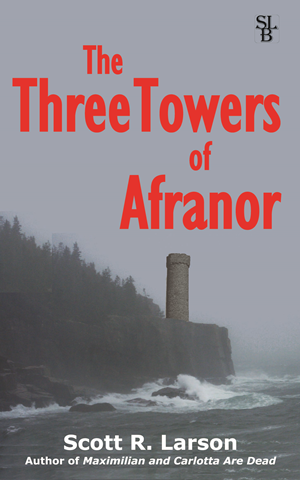 I came up with a cover for the e-book that I liked okay. I had a couple of other covers before that one which I liked okay too, but I didn’t use them because they used photographs that I had not taken myself. One of them appeared to be in the public domain, but it wasn’t certain enough for my comfort level and I could find no way to contact the photographer. That was a hard decision because I really liked the photo, which was of the actual highway that Dallas and Lonnie would have been driving down through the state of Sonora. A bit of the Gulf of California could even been seen in the distance. So I resolved to use photographs I had shot myself to avoid any possible rights issues. For the original e-book cover I used a photo that I had taken back in the early 1970s in Santiago, Chile. It was of the entrance to the Cerro Santa Lucía, which is actually mentioned in the novel. In fact, by a happy coincidence my photo could well have been the post card that my protagonist Dallas Green receives from Chile in the final pages of the book. Unfortunately, when I decided that I would go ahead with the paperback version and went to make the requisite PDF files, I found that the art was not suitable for the printing press that would be used—something about color densities or some such. I tried to re-work it so that it would make the printing company happy, but I wasn’t happy with any of the results I was getting. So I accepted that I would have to come up with a simpler cover design. As you can see, that turned out to consist of nothing more than text (title, byline, blurbs) on top of a desert photograph that covers and bleeds off front and back covers and the spine. Unfortunately, I had no photos of Mexico at all and very few of the California locations mentioned in the book. So I cheated. I used another photo I had taken in Chile in the early 1970s. This one was of the Atacama Desert. It is not a perfectly sharp and clear photo. It was actually taken through the window of a bus, so it hopefully gives an impression of how Dallas and Lonnie’s desert travels might have appeared to them through the window of Lonnie’s 1965 Chevy. Just yesterday I received my proof from the printer. Nowadays such a proof is basically an actual copy of the book since this, after all, print on demand. I’m pretty happy with it. It actually looks like a real book. I have to concede that there is an element of excitement in having an actual physical copy of your own book in your hands that you can actually thumb through—as compared to the experience of scrolling through pages on a computer or a Kindle or other device. Perhaps the most impressive thing about it is being able to see clearly exactly just how much I have written. In digital form, my 294 pages of text always seemed kind of small. Seeing all those pages in the form of actual paper, they look absolutely substantial. It looks, well, it looks real.